From I-285: Take exit 31B, Peachtree Industrial Blvd. North, veer left on Hwy. 141, continue ~3.3 miles, Parkway Office Suites is on the left, adjacent to Wellington Shopping Center. 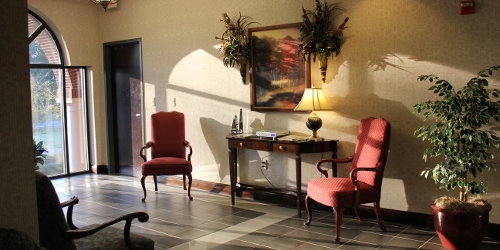 Suburban Executive Suites is a flexible, fully equipped alternative to traditional office space. Prestigiously located at 4989 Peachtree Parkway in Peachtree Corners, Georgia, it is conveniently situated just minutes away from The Forum, Atlanta Athletic Club, St. Ives Country Club, Country Club of the South and The Standard Club. 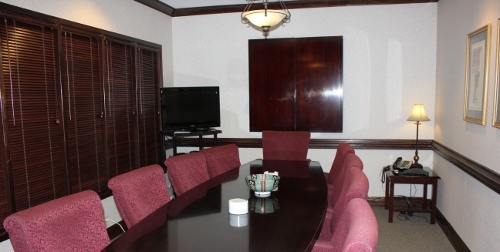 Suburban Executive Suites offers a variety of economical plans to suit your growing company's individual needs. State-of-the-art equipment, friendly and professional staff, attractive offices and personal services make Parkway an ideal business solution for today's entrepreneur or corporate executive in need of a satellite office.